Wake up to Organic was easy to take part in partly because of the excellent support pack we received from the event marketing team. The toolkit was easy to follow and cut down on a lot of prep work, we’d normally have to put in for an event like this. Taking part in a nationwide campaign and collaborating with other businesses is something we love to do, when lots of people are sharing the same message at the same time, the impact is always greater and helps us attract new customer avenues. It was a really positive experience for our shop. It made me think about organic products more in my store and enabled me to talk about the benefits with my customers. Taking part enabled us to reach an audience already interested in organic that perhaps we had not reached out to and also promoted our shop as being the local go to place for buying organic products. We also enjoyed engaging with our customers, they were obviously very grateful for the free breakfast which help us build brand loyalty and overall engagement with our audience. The Wake up to Organic day was one of our most successful weekdays of trading in the year, our revenue was comparable to a Saturday trading or a Christmas weekday. 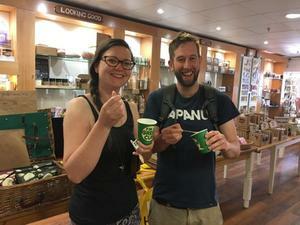 We set up a table in the store, with a range of free breakfast options all that had been kindly donated from our suppliers, we offered a porridge with warm coconut milk, a granola served with coconut milk and a green tea to drink. Being supported by our suppliers enabled us to provide the breakfasts at no extra cost to us and obviously also helped drive sales of the products people were tasting. We also were keen to maximise on sales on the event so we offered a free goodie bag filled with organic product samples, to customers spending over £10. This proved to be very successful and by 10.30am we’d already taken our usual Saturday takings in just two hours on a Wednesday morning! We also ran a competition to win an organic hamper and we got involved in the social media on the day and posted photos using #WakeUpToOrganic although we were so busy it was difficult to keep up with this! We had a mixture of regular customers make a special trip out to the shop and also attracted new customers. A lot of people popped in before work, who can’t normally make it to the shop during working hours and lots of people commented how they had been meaning to visit the shop for ages but this gave them the final push. 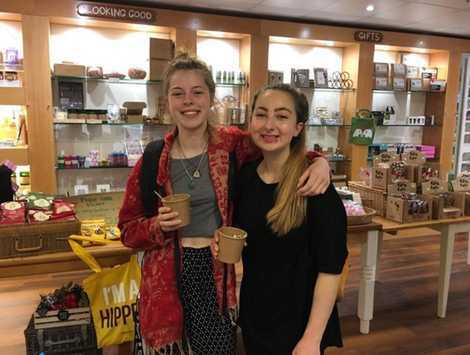 We had a very successful day of trading on the actual event and, following on from the event, after people had tried the products and discovered they really like them they kept coming back to buy them again and again! The only additional cost to myself for the day was bringing in extra staff to help with the day, so the return on investment was excellent. Eeveryone was standing around chatting to each other and it brought a great energy into the shop, passers-by were intrigued as they walked by noticing a packed out shop at 8.30 in the morning. We created a Facebook event, and sent out an email to our mailing list, I posted the event in a few local Facebook groups. I sent out a press release to our local press - but I did leave that a bit late and this year I plan to be more organised! We didn’t spend any money on marketing the event but word still got around and lots of engagement online, people sharing and tagging friends in the event helped us to use organic and viral marketing to promote the event. 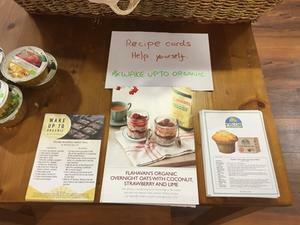 Prior to the event we set up a table in-store advertising the hamper people could win if they came along to the breakfast and showcasing some of our organic products. This year I’m going to start planning earlier and put more effort into marketing the event, now I know how successful it can be I’m hoping to make 2018’s event even bigger and better than last year. We’re quite lucky that we are a thoroughfare for morning commuters coming into town, I’d like to have someone outside encouraging more people in. I’d love to get suppliers more involved by maybe getting a few to visit the shop during the event and showcase their products and hand out samples in person. I have already got a member of my team planning out this years event so watch this space!